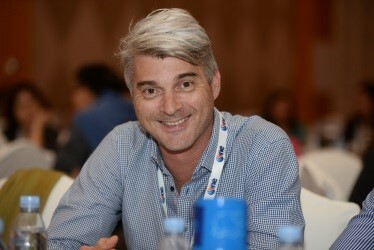 My name is Eric Van der Hoeven and I am VP Growth through Engagement for Early Life Nutrition at Danone. Dedicated to bringing health through food to as many people as possible, Danone is a leading global food and beverage company built on four businesses: Essential Dairy and Plant-Based Products, Waters, Early Life Nutrition, and Advanced Medical Nutrition. With products sold in over 120 markets we aim to inspire healthier and more sustainable eating and drinking practices, in line with our vision – Danone, One Planet. One Health. With a global presence in more than 120 countries across the five continents; our workforce, our consumers and our community represent a rich array of geographical specificities, cultures, communities, and lifestyles. Based on this fact, Danone is committed to create and live in an inclusive & diverse (ID) environment, which will drive our growth as a business, as teams, as members of communities, and as individuals. Valuing diversity and fostering inclusion is all about recognising, respecting and leveraging human differences to encourage employees to be their best selves and thus fueling team’s performance. Danone believes that through inclusive diversity, collaborative high-performing teams will be created and deliver breakthrough thinking and results as well as develop innovative and culturally-relevant solutions. Supporting women rights and gender equality is a widely proven recipe for more sustainable growth and inclusive prosperity. Growth, in every aspect of a woman’s life, is essential, and it is necessary for us leaders to encourage and facilitate this growth. It would not only improve the prospects of millions of women around the world but also have a profound impact on the economic and social development of countries. At Danone, we have more than 100,000 employees, present in over 60 countries. By making gender equality a priority to our business practices, we can be a driver of progress that will benefit all. As a global company, it is more than ever our responsibility to do so. With our Inclusive Diversity program, we commit to foster an inclusive working environment where we celebrate all types of diversity, both visible and invisible, including gender, nationality, age/generations, religion, disability, LGBT, leadership styles, and personalities. At the global level, we focus on three main priorities: Gender Balance, Cultures & Nationality and Inclusive Behaviours. Furthermore, we believe that Inclusive Diversity is best approached and implemented at the local level, thus making the topic relevant to the local business context. We encourage our business units in different countries to address other topics in addition to the three global priorities, whatever locally relevant. We believe that this approach will ensure that our differences will make the difference. 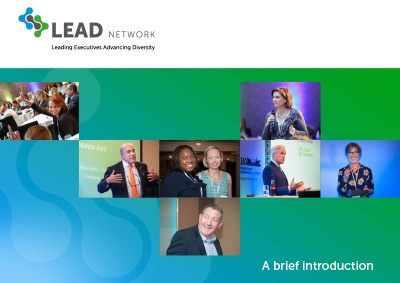 LEAD Network has been one of the key catalysts of our Inclusive Diversity roadmap, especially in helping to enhance our ambition of gender balance. It has created an opportunity for us to engage our people at the local level with LEAD’s Country Chapters as well as allowing them to engage and expand their network with other manufacturing companies and our retail business partners. Our partnership with LEAD Network has also enabled us to gain momentum in inclusive diversity both internally and externally and to create traction for our global Inclusive diversity strategy, besides local actions. 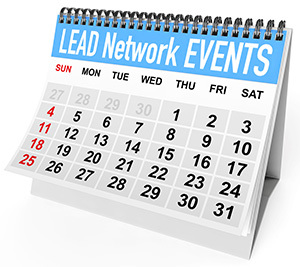 With LEAD Network, we would like to provide opportunities for our employees to expand their network, sharing best practices with other companies at the local level as well as gaining inspiration and insights on their career journey.